It's going to be a fun election season. 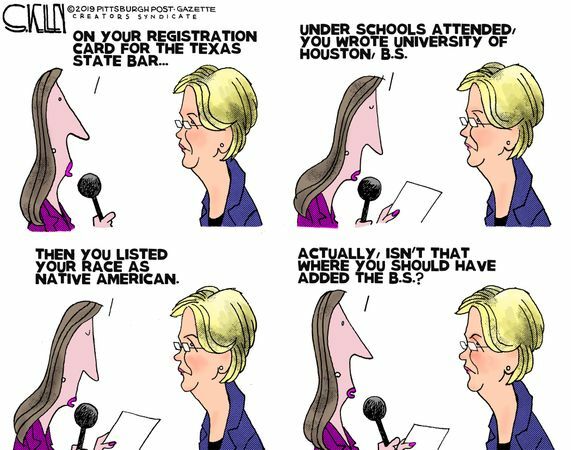 Or maybe she's just running for 1/1024th of the job? 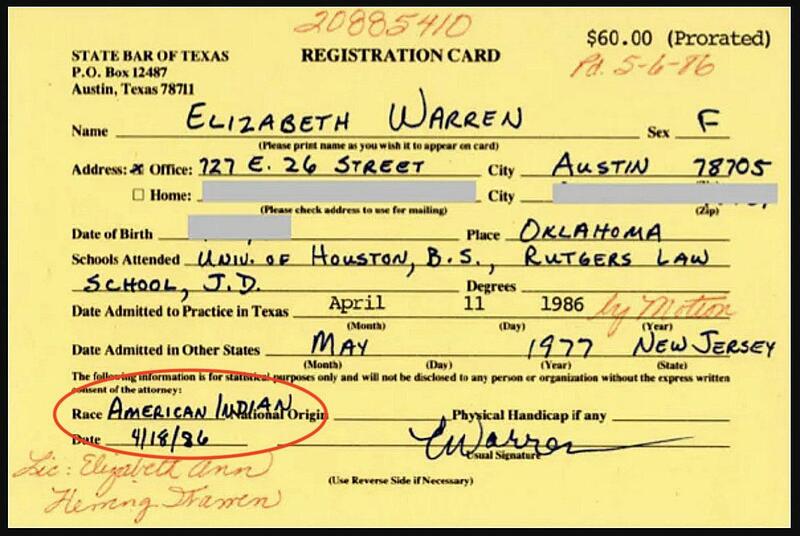 American Indian under race on application to Texas bar. I guess the man in the White House was just magically put there. Yeah, that will play well with the deplorables. Don't get complacent folks. Remember, that's what every lib thought when DJT announced his campaign and I'm sure there were a fair amount of conservatives that were also thinking this was going to be a wild election. As far as that goes it did not disappoint and we were lucky it turned out as well as it did. Never underestimate your opponent. AOC is in congress! I thought she had the best chance of facing Trump for the Dimwit nomination before this week, now not so sure.